Commercial-Residential Property and Facility Contractors since 1978 .Contact Us for Booking Today & Save $$$ @ 250-899-5422 Home Renovation & New Construction Services, Serving Central Okanagan and South Okanagan BC . We Offer 100% FREE estimates ! Top Quality and Professional Tile & Stone Installation, dustless, clean work adding Great Value in to your Home ! We Offer Real Estate Marketing connection to our customers with Top Real-estate marketing Professionals, for lowest price services, interior Design, and Home Staging. Tile & Natural Stone is a Great Healthy-Clean Choice for your Home and Family. 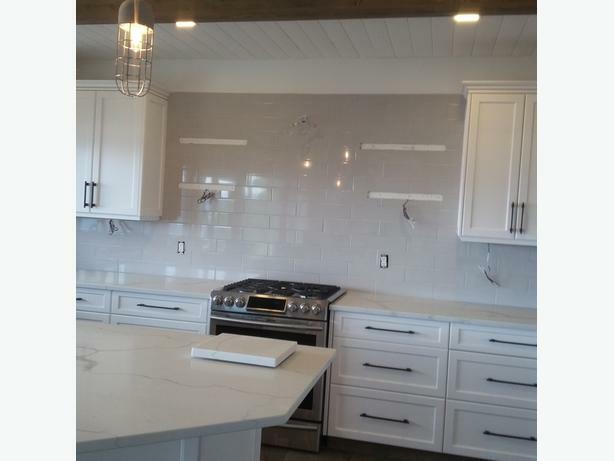 We install Flooring Tiles, Wall Tiles, Custom Shower service, Kitchen Back Splash and counter tops, Tub Tiling, Waterproofing, top Quality materials for your Home Remodeling Project ! Basement Floor tiling, keeping out mold and Grout / tiling home repairs. We install Aqua Boards in your Shower and Build Shower Base, Plywood / sub-floors install, fire place tile and stone and more !!!!!! Contact Us Today Kelowna BC - West Kelowna-Penticton areas, and Okanagan and Save time & money ! Start to finish home renovation management Available , Always Open !